As I write this post, I am two weeks away from having my second child and preparing for some precious time off with my new addition! As I schedule out posts and recipes, get my administrative assistant up to speed and put as much on “auto pilot” as I possibly can, I decided it would be helpful to round up the answers to my MOST asked questions and pin them to the top of my blog page. I get so many emails, Facebook messages and Instagram DMs a week with similar questions. Which means, these are the overarching questions patients need to know. Sure, some of them are the pre-op wonders or the early post-op concerns, but for the most part these questions are the big ones AFTER the dust has settled from having a Gastric Sleeve, Gastric Bypass or Duodenal Switch Surgery. Many of these questions I’ve answered in older blogs or even video courses for my members. In those cases, I will link to the post that provides even more detail. I hope these questions help you as you find your way after surgery. Always remember to take online answers with a grain of salt and not as medical advice. I don’t know you or your personal situation, these are meant to be discussion towards healthy living and encouragement that it’s never too late to focus on your best version of yourself! Absolutely the most asked question. Patients worry they’ve done something wrong and this is the ultimate end-all of their hope in losing weight for good. I LOVE busting this myth and encouraging patients that hope is not only there, it’s strong. Be filled with hope that you can tap into your surgery once again! Here is the full post on the topic. This is really the same question as the first, in my opinion. Patients do worry if they have stretched their stomach out. They also worry if they’ve put weight back on, fallen way off track, haven’t followed up with anyone and just fell into life as it was before…is it as if you didn’t have surgery in the first place? My thought here is two fold. 1) It’s not wise to ignore a major change in your body that is always changed. If your GI track was altered, it didn’t go back to what it was before. 2) IF that person wanted to tap into their surgical tool once again, they can. It’s not an automatic sign up for a revision. I DO recommend getting into a bariatric surgery center, even if not the one who performed the surgery. 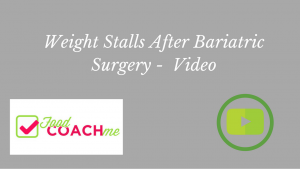 They can run your labs and check in on your health in a way only a bariatric surgeon can. I would also hesitate to automatically get signed up for a revision. 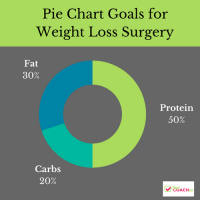 Getting on track with a post-op eating style will give you the information you need to know if you really need to have a surgery. (Careful here, some doctors would love to sign you up for a revision first…) I’ve had many MANY patients lose their re-gain without a revision! Click here for more about my “Back on Track Video Series” – watch the first video free! Every bariatric program is different and every bariatric dietitian will differ, even if just slightly, in how they answer this question. My first response is that your weight loss is not a direct correlation with the exact number of grams of protein you have in a day. If I tell you to eat 60 grams of protein a day, you might lose weight. You might not. It’s not enough information. The ASMBS (American Society of Metabolic and Bariatric Surgery) recommends patients aim for 60 grams of protein a day. That part is true. Why has my weight stalled? So many ways to answer this question but I’m going to link a video for the answer! What protein bars and shakes are okay? So many brands! Here is a blog I wrote on Best Selling Bariatric Snacks. Below is a quick reference to keeping an eye on protein and carbs in shakes and bars. Again, every program will tell you differently! These are the guidelines I’ve always utilized for myself and my patients. Such a huge topic. This is why membership to FoodCoach.Me even began! Having a tribe makes all the difference when it comes to emotional, stress and clock eating. Our members engage on our closed Facebook group and three times a year we have a “focus challenge” for the months we need to up the accountability and get honest again. Here is a a blog I do recommend on the topic – the secret to beating stress eating. This is a members video series for those who do join the FoodCoach.Me Premier Access Membership – Stress Eating Video Series. Can I do Weight Watchers, Whole 30, Paleo or any other diet plans with my weight loss surgery? Why am I still hungry all the time? This is a members video course on how to control hunger after weight loss surgery. Find out more about the membership with the image below! Why do I still throw up? I can’t eat meats and need to get in protein. Read this blog – I keep throwing up, even soft foods. What about alcohol after weight loss surgery? I take this topic super seriously after I connected with the Facebook Group “Transfer Addictions After WLS.” Three women allowed me to feature their stories on the blog and ever since reading them, I’ve taken this topic far more seriously. Sure, not everyone will fall down the slippery slope and a little wine on occasion would be okay. The surgeons I worked with most closely and respected their opinions most recommended no alcohol for at least 6 months after surgery. My thought is to follow the 6 month guideline and read these stories. Then inform those you love about the risks of alcohol after WLS and make a plan along with them for any plans that may come up that would include you having a drink. What vitamins do I really need to have? Do I still need them? Here is a full blog and video on vitamins after weight-loss surgery and the questions most patients ask. Pregnancy after weight loss surgery? I have a blog series on the topic and a few other stories highlighting patients who have had babies after surgery! It’s incredibly possible to have a healthy pregnancy and then lose your baby weight after surgery. Such an exciting topic! What is the honeymoon period after surgery? Can it ever come back? Thank you for allowing me the opportunity to enjoy time away from the site while I snuggle this baby I’ve been growing for what feels like a very long time! 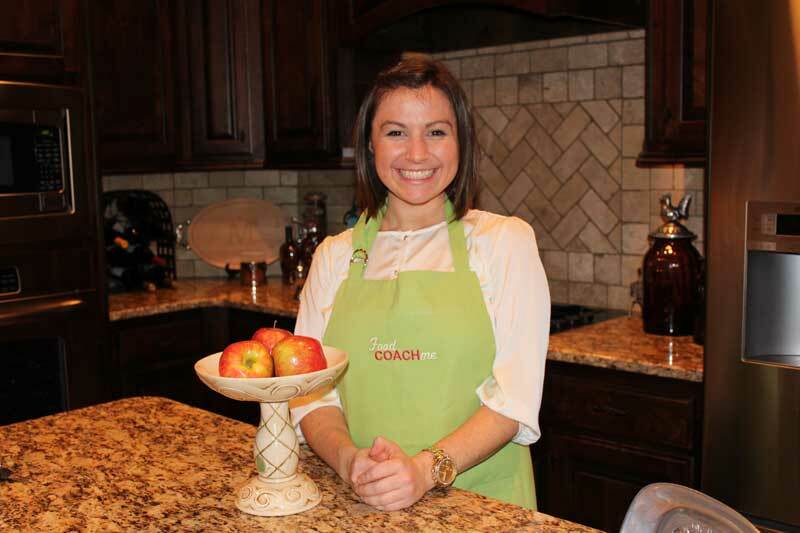 During my absence, all your questions can be sent to support@foodcoachme.com or if you are a member, you can post to the Facebook group to get in touch with other members! Congrats on baby Steph!!! All best wishes and enjoy time off! Monica.